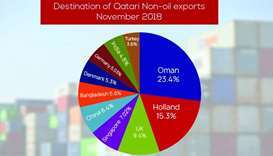 A robust expansion in foreign portfolio and other investments helped Qatar report about 9% year-on-year growth in total overseas investments into the country during the third quarter (Q3) of 2018, notwithstanding the ongoing diplomatic and trade embargo, according to the official estimates. At the end of Q3, 2018, Qatar's inward foreign investments amounted to QR709.7bn with the bulk of inflows into the banking sector, which attracted QR453.1bn or 64% of the total and the remaining 36% or QR256.6bn by the non-banking sectors, revealed the Ministry of Development Planning and Statistics (MDPS) in its foreign investment survey. Of the total inward foreign investments, as much as 68% came from other investments (QR482.1bn), foreign direct investments or FDI QR123.4bn (17%) and foreign portfolio investments QR101.7bn (14%). 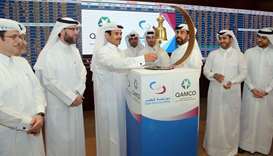 Financial derivatives amounted to QR2.5bn, said the survey, which was conducted in collaboration with the Qatar Central Bank. 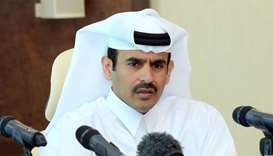 Of the total QR101.7bn foreign portfolio investments, one-fourth, or QR25.6bn, was in the equity form and the remaining 75%, or QR76.1bn in debt instruments. 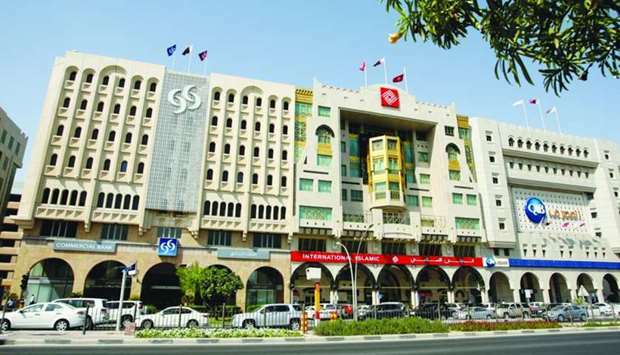 Of the total debt, 84% or QR64bn, was long-term and the remaining 16%, or QR12bn short term. Of the QR482.1bn foreign other investments, as much as 63%, or QR301.7bn, was from currencies and deposits, 35% or QR167.9bn, from loans (the bulk of which in long term) and the remaining 2% or QR1.71bn from trade credit. The total foreign investments into the country saw more than 4% growth during Q3, 2018 compared to the second quarter of the same year. Both foreign other and portfolio investments registered about 7% and 11% expansion respectively; while inward FDI and foreign derivative shrank about 6% and 46% respectively during the review period. The inward FDI has gained traction in the first two quarters of the previous year, while foreign portfolio investments were consistently on an expansive mode. The new FDI law, currently being debated, and the economic zones, are expected to make Qatar a perfect hub for trade/re-exports. 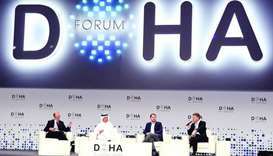 On May 27, 2018, Qatar had announced a draft law that will allow foreign investors to own 100% of equity in all sectors, which is pending legislative approval. 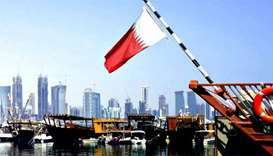 Qatar's outward foreign investments amounted to QR385.2bn, which reported about 2% year-on-year fall. Of the total QR385.2bn outward foreign investments, as much as 53%, or QR203.4bn, were foreign other investments, 38% or QR145.7bn, was foreign direct investment and 9%, or QR35.5bn, was portfolio investments. On a year-on-year basis, the outward foreign direct investments was down about 27%, portfolio investments by 9% and other investments by about 1%. Both foreign direct and portfolio investments had a chequered path during the first two quarters, while in the case of other investments, those were consistently on the decline.